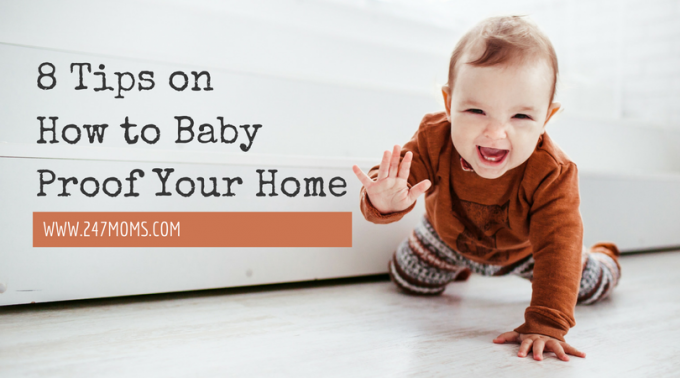 When your little one starts to crawl, their entire world is opened up more. They want to see and even taste just about anything. Nothing is cuter than a baby, and no one is more curious. However, sometimes their adventures of crawling can be dangerous. Check out these baby-proofing tips to keep your baby out of harm’s way as they grow and explore. Most baby toys often have knobs which help them develop their dexterity skills. Turning knobs are very tempting for little ones, but can be dangerous if they become curious about the stove and oven knobs. 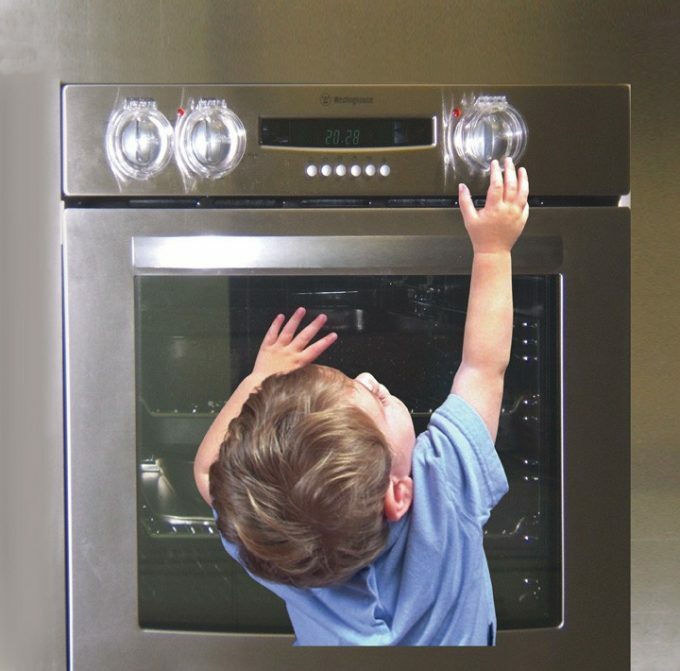 Placing covers over oven and stove knobs reduce the risk of toddlers turning them. The fridge is an easy way for little hands to invade the fridge. To avoid curious hands, use two sticky, non-permanent hooks and an elastic band. Place them higher on the fridge so that your baby cannot reach them and the door will remain closed. Many of the lower cabinets in your home are likely stored with household chemicals. These can be potentially dangerous to your child as there are often curious and place items within their mouth. 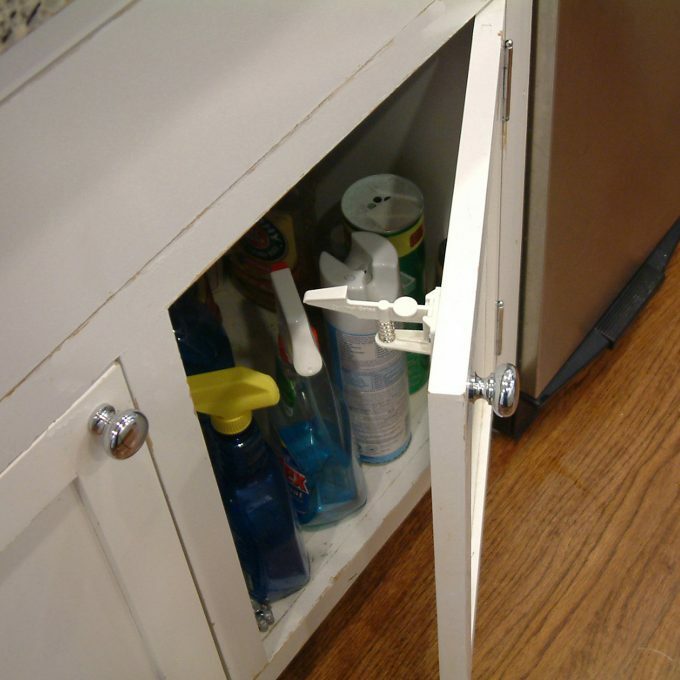 Use cabinet safety latches to avoid your child from opening the lower cabinets. They can easily be installed with a screwdriver. Keep the carpet clean and free of clutter. Make sure it is soft enough for babies to play on but tough enough to withstand wear and tear as they grow up. Carpet should be strong water and stain resistant underlayment may actually save you money over the years. Keep the toys and any stuffed animals within reach for your child. A baby’s level is great to keep them occupied with what is theirs and keeps them from getting into things. Their toys can be organized in baskets to decrease clutter and help them learn where to even put toys away when they get older. Any artwork that is hung above the crib should be lightweight in case there is an earthquake or the décor ends up having a hardware failure. There are plenty of unique and great décor DIY projects you can hang up safely in your baby’s nursery. If you are hanging out any artwork or pictures within the nursery consider removing the glass in front of it. You can replace the glass with Plexiglas at a local store likely. Artwork will still be fun but will not have the risk to cause injury if it occurs. Outlets are on a baby’s eye level and can be rather tempting to explore. 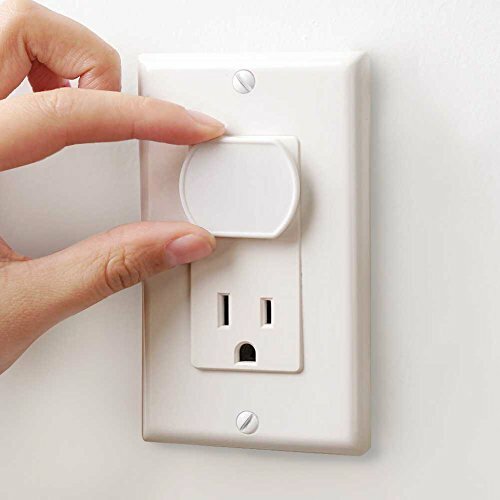 To prevent your child from any harm, put outlet cover caps over plugs in all the outlets not being used. Keep the doors locked with doorknob covers in case there are any curious sleepwalkers or those trying to explore more in the outdoors. The cover will keep curious hands from turning the knobs as they try to grab but adults will be about to easily grip the cover and open the door with ease. The door knob covers can easily be removed when not needed as well.